French filmmaker Michel Hazanavicius re-teams with his OSS 117 stars Jean Dujardin and Bérénice Bejo for this gimmick-heavy, dialogue-free love letter to the golden age of Hollywood. It’s 1927 and actor George Valentin (Dujardin) is at the top of his game while bit player Peppy Miller’s (Bejo) star is on the rise. Talking pictures threaten to change the industry, but Valentin pays them no mind as he sets off on a new career as a silent writer/director of adventure films while audiences instead flock to the new audio marvels. Then comes the stock market crash, the Depression, the fall of the likable actor, and his inevitable resurrection. Along the way, audiences meet studio head John Goodman, loyal chauffeur James Cromwell, and a Jack Russell terrier named Uggie. It’s one of the safest easy-watches of the year, a well-directed tribute/homage with some nifty visuals and a remarkably accessible gimmick that is difficult to criticize due to the harmlessness of it all. My prediction for this year’s Best Picture that should be forgotten soon after. 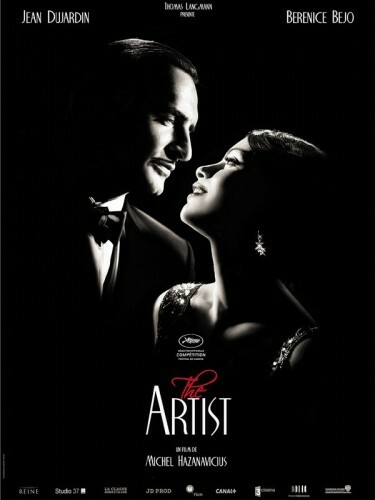 The Artist opens today at the Ritz Five. Agreed. Harmless fun, remarkable craft, universal themes, and a well studied homage. A nod to the cinematography, which is also sharply emulative of the times.